Riding an elephant is fun. 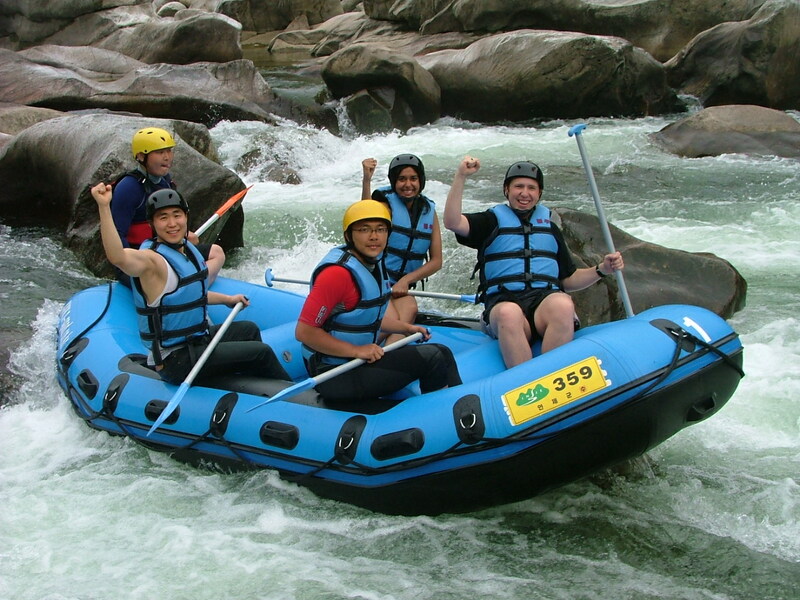 But, what’s better is riding an elephant into a river! 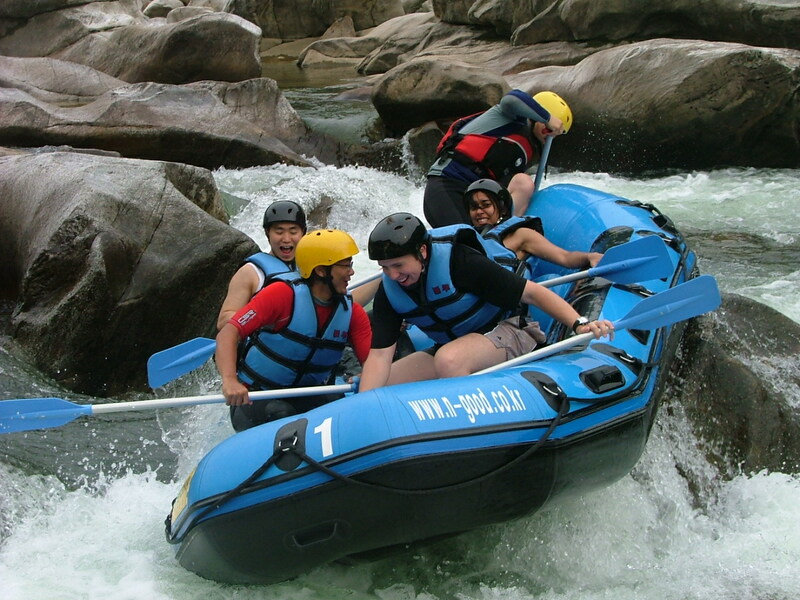 This adventure was one of my highlights in Laos. 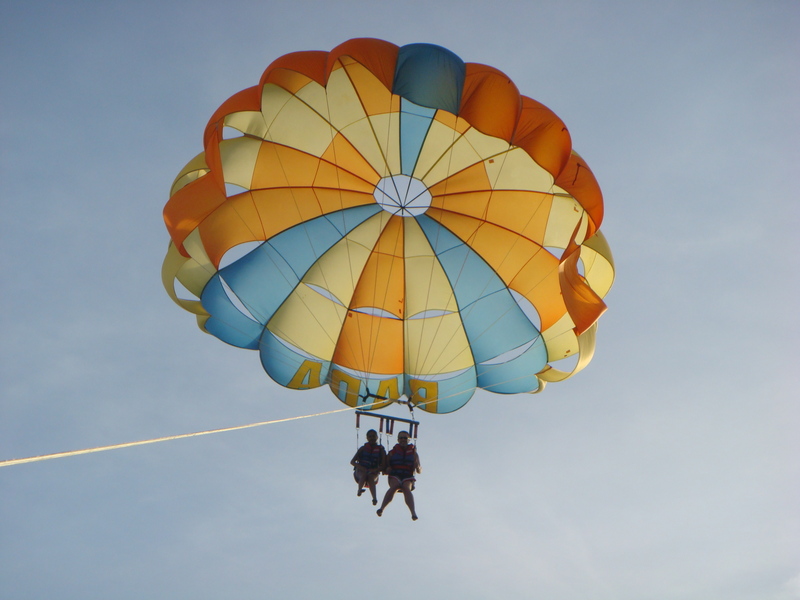 It was just incredibly fun! At first, it was a huge physical challenge for me to get on the elephant. Watch the video below and you will see. Then, to ride an elephant without really holding on to anything secure was also another challenge. But, it was an exciting challenge! Eventually, I managed to sit on the elephant. My guide taught me an instruction to yell at the elephant so he would move forward. Of course, the elephant never listened to me no matter how loud I yelled. It was funny. Without hesitation however, the elephant moved forward upon my guide’s instructions. Now for the scariest part of all! As the elephant was moving forward into the water, I had no idea about the depth of the water. I wasn’t even sure what the elephant was going to do. Would it try to throw me off its back and into the water? It was definitely acting unpredictable. With every step the elephant took into the water, I was beginning to slide forward due to the decline. 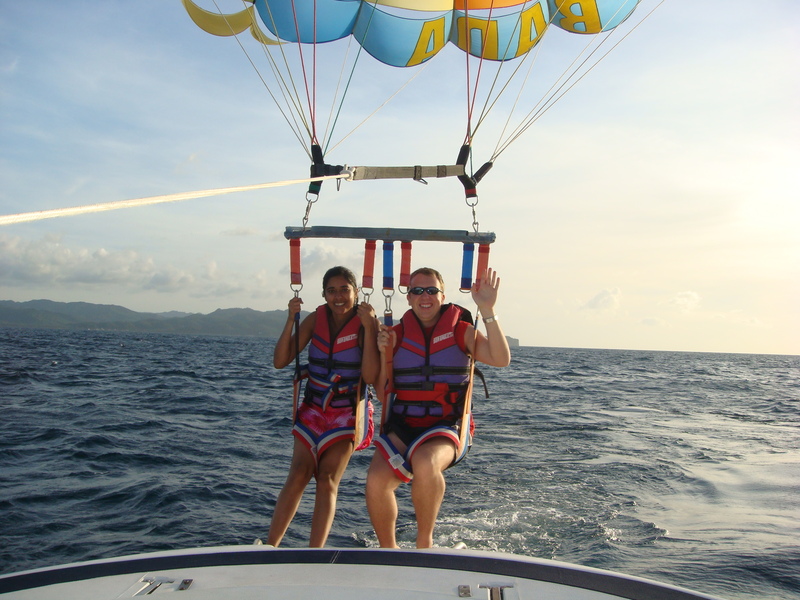 And my adrenaline was definitely pumping! 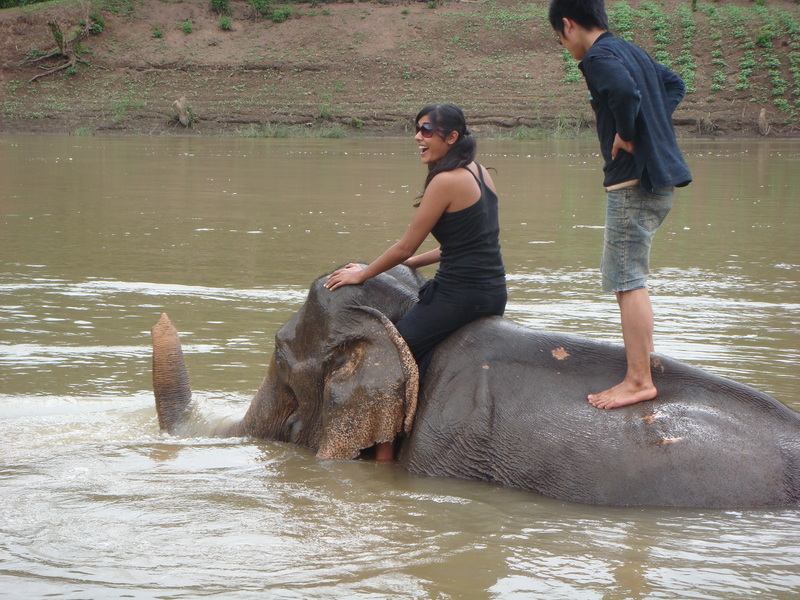 Once the elephant was more than half immersed into the water, I thought the scary part was over. As I began to relax, I realized what an amazing feeling it was to be sitting on an such a large animal while being in a lake. I felt tiny and vulnerable, but happy. However moments later, due to my guide’s commands, the elephant began dipping its head forward with the intention of trying to throw me into the water. But, I was too quick and held onto the elephant. 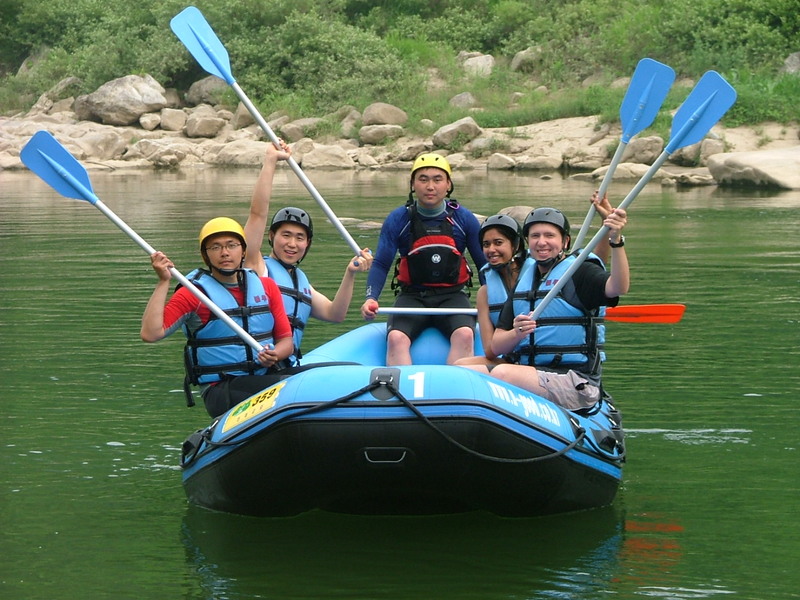 The joke ended up being on the guide himself because it was him who fell into the water later! 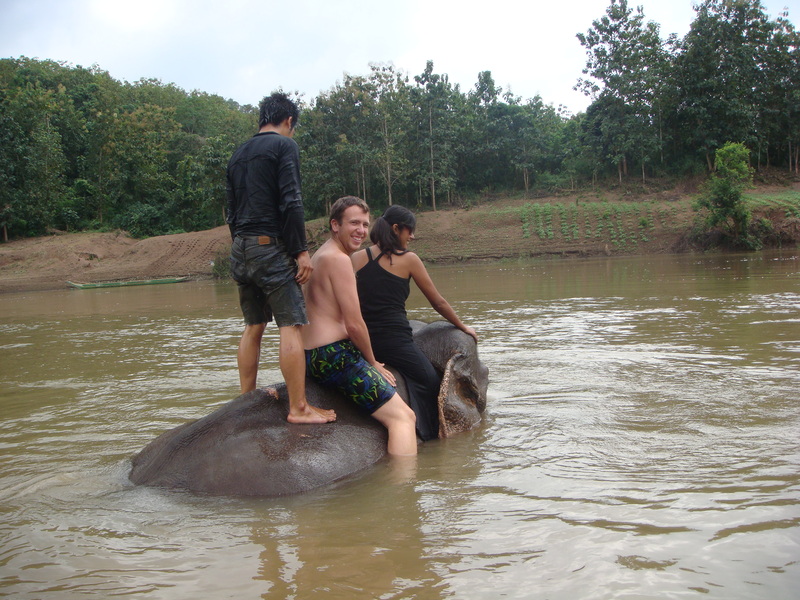 Jason joins us for an elephant ride! Jason is trying to steady himself on the elephant’s back. 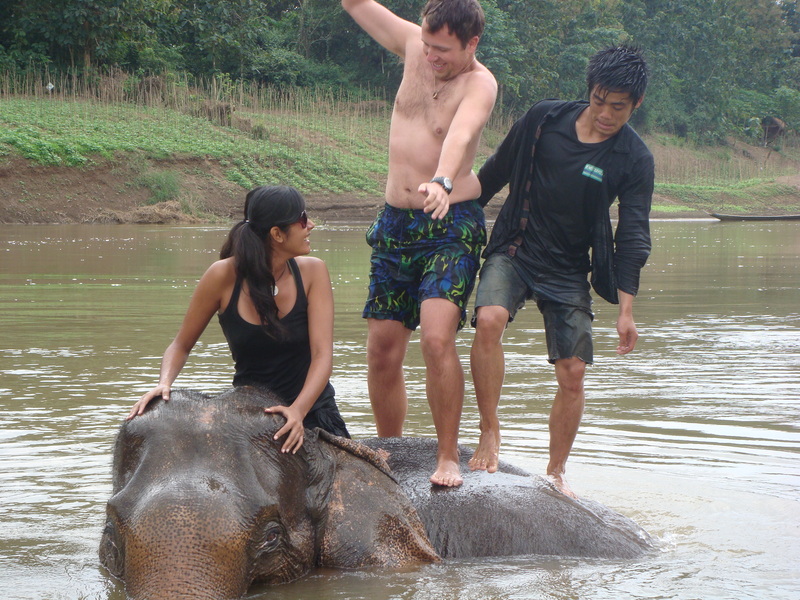 Oh no, both Jason and our guide fell into the water because the elephant pushed them off his back! As for the bathing part, well let’s us say we didn’t really do much except wash the elephant with some water. 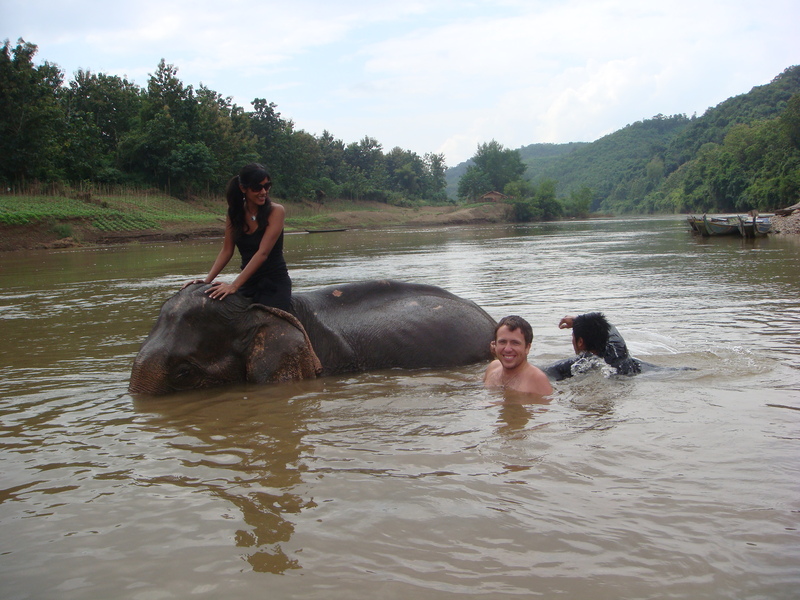 It was really more about having fun with the elephant in the water. Indeed, a wonderful experience!